If your current driveway is made up of cracked, aging concrete, consider a concrete brick paver replacement! 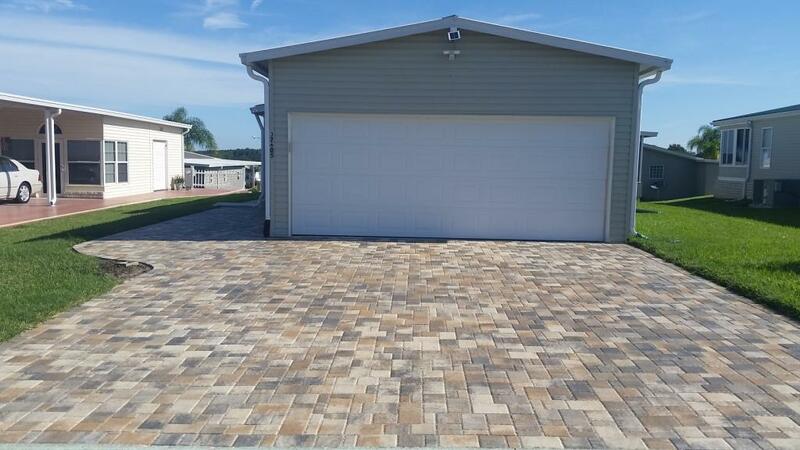 Are you looking for a durable driveway that can add a bit of color and style to your home? Driveway pavers that imitate real stone have attracted more and more local homeowners. An experienced professional should have no problem installing this beautiful type of driveway, whether it's a part of a new construction or whether you're looking to replace your current structure. L.R.E. Ground Services, Inc. is your best choice for local concrete needs, including all kinds of pavers. We know all of the proper installation steps, and with our access to high-quality materials in various colors, we can help you create something truly special! Contact us today to talk over your design ideas and schedule a free estimate! We offer our concrete services in Saint Petersburg, Tampa, Clearwater and throughout the surrounding areas. Traditional concrete driveways might seem like an easier or even more logical choice. But paver driveways have a lot to offer! Pavers come in different sizes and colors, so you can express yourself in its design. And like all pavers, these driveways are easier to fix when something goes wrong, as the affected brick can simply be replaced without disrupting any other part of the driveway. If you're looking to get your project completed quickly, another benefit of a paver driveway is that it can be used immediately upon completion of its installation, unlike normal concrete which has to set. It can easily support the weight of heavy vehicles without any issue. Because of its strong yet flexible nature, your new driveway should last for decades! The good news is that when you install a paver driveway, you have very little to do afterwards to keep it looking and functioning its best. Sweeping it every once in a while will fulfill the majority of its needs. If oil or grease stains from vehicles emerge, using a pressure washer should take care of the mess. Depending on how it was installed, your L.R.E. Ground Services, Inc. expert may need to fill the joints with additional sand every few years. Otherwise, as long as you don't try to hit it with any sharp objects, your driveway should continue to look as good as new! No matter what you're looking to accomplish - whether it's building a new driveway or patio or pouring a concrete slab - L.R.E. Ground Services, Inc. has the expertise required for a superior solution. We take great pride in the quality of our work, and we can handle all of the small accompanying details such as edging. We know that your property will benefit for years to come when you work with us! Ready to get started on your paver project? Schedule a free estimate today in Largo, Tampa, Clearwater, Saint Petersburg, New Port Richey, or areas nearby!